The Flame Cardinal, Apogon spp, is a brilliant red fish accented with blue and green. Also known as the Flamefish, this colorful reef-safe fish is best suited for aquariums 30 gallons or larger, providing plenty of caves, and hiding places. Although mated pairs can be kept, due to its aggressive nature, keeping this fish in large groups is not recommended. 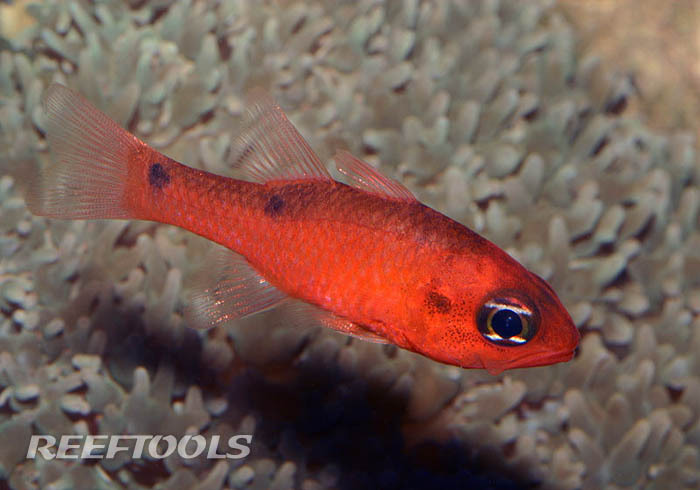 The Flame Cardinal will exhibit aggressive behavior towards other Cardinalfish. This nocturnal fish requires a diet consisting of vitamin-enriched meaty foods.